Mini Effect Gizmo | RJM Music Technology, Inc.
RJM loop switching technology in a small package! High quality construction. Built for the road! Create your own: Use this blank template to create your own diagram. 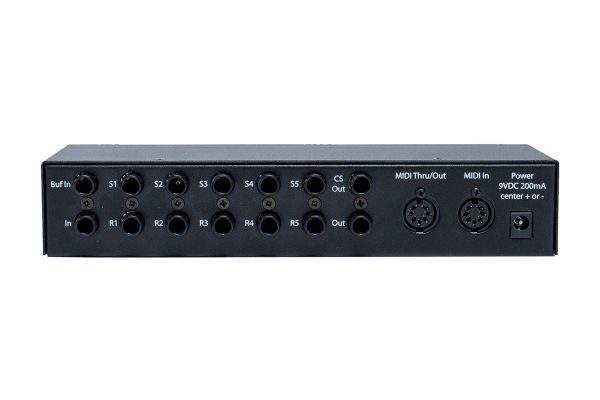 The Mini Effect Gizmo (MEG) is a MIDI controllable 5 loop true bypass audio switcher. 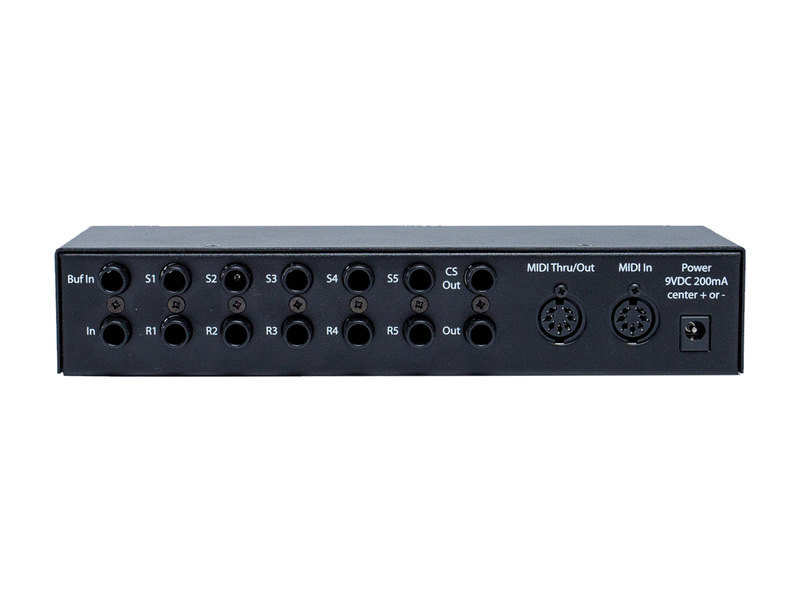 You can use the MEG to control your pedals with any midi controller, either in a rack setup or on your pedalboard. A single button press on your MIDI controller can turn on any of the pedals connected to the MEG, making it a lot easier to manage your effects. How difficult is the Mini Effect Gizmo to setup/program on my own? The Mini Effect Gizmo is a breeze to set up. Simply plug your effects pedals into the MEG and turn on all your pedals and you are set. The MEG will bring your pedal(s) in and out of your signal path depending on how you program it. Programming is as simple as selecting a preset on your MIDI controller, using the Mini Effect Gizmo buttons to turn on the desired loops, and holding the Write button to store those settings. This can be repeated for up to 128 presets. Is the Mini Effect Gizmo “True Bypass”? Yes, it is! When an audio loop is switched off, the pedal and its cables are completely disconnected from your signal path. This allows you to bypass unused effects completely, preserving your guitar tone. Is the Mini Effect Gizmo compatible with______? The Mini Effect Gizmo is compatible with any MIDI device on the market and pairs perfectly with the Mastermind GT and LT. You can also pair the MEG with the PBC to have 15 – or more – loops! 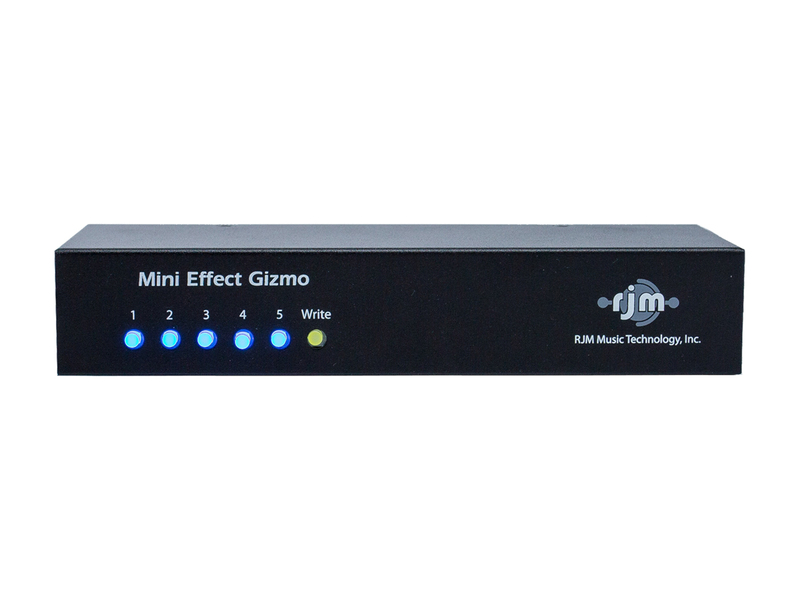 Visit our online store to order your Mini Effect Gizmo today!